The judging panel for the HOOQ Filmmakers Guild 2018 has been announced! The Filmmakers Guild – which has been launched for it’s second year – is an exciting initiative from video-on-demand platform HOOQ and Genero, inviting creators in Southeast Asia to pitch original ideas for a new TV series. Five Genero filmmakers will have pilot episodes funded, with one show set to be commissioned for a full series. 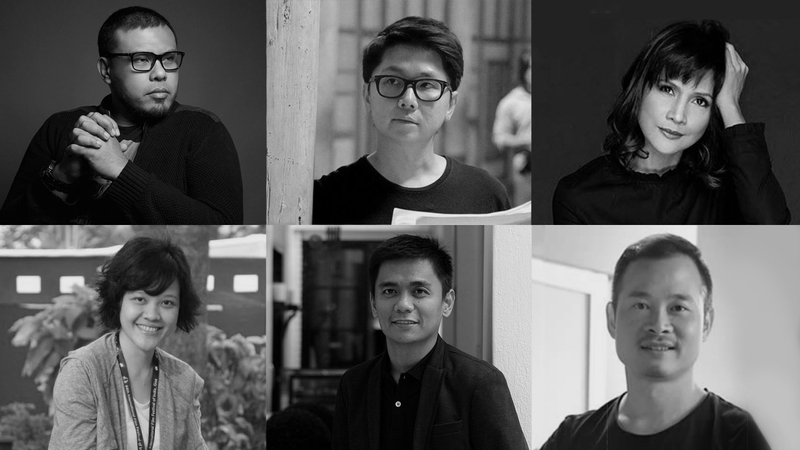 A star-studded lineup of 6 industry professionals have been tasked with the judging process, including renowned directors Mouly Surya (Indonesia), Joko Anwar (Indonesia), Banjong Pisanthanakun (Thailand), Adisorn Tresirikasem (Thailand), Jun Robles Lana (Philippines) and award-winning actress, Agot Isidro (Philippines). Each idea will be judged based on creativity, originality of the concept, character development, series potential and market relevance, with the panel eager to get their hands on the most imaginative scripts in the region! After the 5 selected pilots are created and premiered, the judging panel, taking into account the HOOQ viewership of each show, will decide on the winning show, which will be produced for a full season. “It is an exciting time for the industry in Asia! The scene is booming and there is a growing appetite for local productions. The HOOQ Filmmakers Guild opens the door for undiscovered filmmakers to show Asia and the world what they’ve got! I want to take this opportunity to call on all aspiring Indonesian filmmakers to leverage on this platform and show your best”, said director Joko Anwar. Returning for the second year, award-winning director and judge, Mouly Surya, commented, “I believe we were only scratching the surface in terms of discovering Asian film talents last year and we were already so blown away by the entries. I cannot wait to uncover more hidden gems in this second season“. Award-winning Indonesian screenwriter and director. Her most recent film, Marlina the Murderer In Four Acts, debuted at Directors’ Fortnight of Cannes Film Festival 2017 to critical acclaim and was most recently screened at Toronto International Film Festival. It is her third movie as a director after Fiksi and What They Don’t Talk About When They Talk About Love. Award-winning Indonesian screenwriter, producer and director who started his career as a journalist then a film critic. His works include The Forbidden Door, Modus Anomali, A Copy of My Mind which was in competition at Venice, HBO Asia Original series Halfworlds and has also received multiple international film awards. His most recent movie Pengabdi Setan (Satan’s Slaves) hit the top spot of 2017’s box office in Indonesia and won Best Film at the prestigious Overlook Film Festival in New Orleans. Award-winning director, screenwriter and actor. He is best known for his directorial debut of My Girl, which has won him several awards including the Asian New Talent Award at the Shanghai International Film Festival and also known for his other works include BTS – Bangkok Traffic Love Story and Seven Something. He may also be recognised in his role as Khru Sakol in the Thai cult teen hit series Hormones. Award-winning Thai film director and screenwriter. He is known for his critically acclaimed films like Shutter, Pee Mak, Alone, and One Day that are known to audiences across Asia. 2004’s top box office performer in Thailand, Shutter is one of the best horror movies of Thailand recognized worldwide and has since been remade in three other languages, including the 2008 Hollywood film of the same name. Award-winning and internationally acclaimed writer and director, whose work includes Die Beautiful, Bwakaw, and Anino sa Likod ng Buwan in addition to his award-winning screenplays Muro Ami and Rizal. He is also one of the most sought-after movie directors today and his film Die Beautiful won the Audience Choice Award at the 29th Tokyo International Film Festival. Multi-awarded actress, known for her roles in Changing Partners, Ang Babae sa Septic Tank 2: #ForeverIsNot Enough and Mga Mumunting Lihim. The multi-talented star is also a well-know singer and a graduate of Fashion Institute of Technology in New York and holds a masters degree in Communications from Ateneo de Manila University. Submissions for the HOOQ Filmmakers Guild are open until July 31st! Budding filmmakers, directors, producers and scriptwriters from Singapore, Thailand, Indonesia, India, Philippines, Vietnam, Malaysia and Cambodia are invited to will submit their treatments and scripts. For all the details, visit genero.com/hooq.